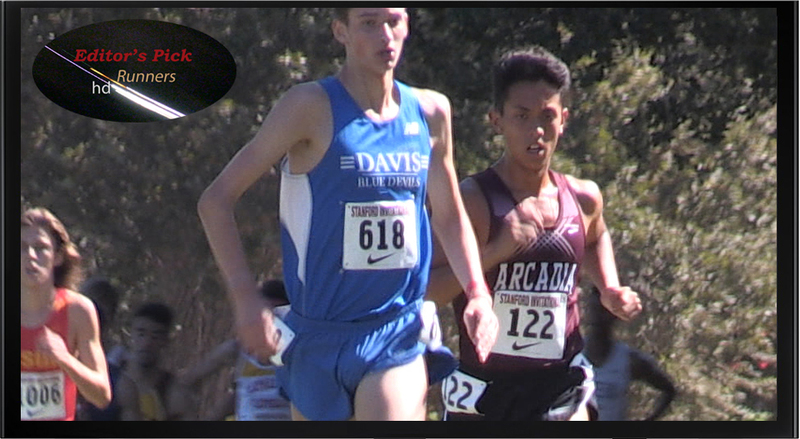 Cagey veteran Phillip Rocha tucked in on the shoulder of Michael Vernau for the first half of the seeded men’s race up at the Stanford Invitational in late September and then ripped off a 14:32. We believe that to be a course record, besting his fellow Arcadian Ammar Moussa. Ammar had nailed a 14:37 in 2010. Mt. SAC course record-holder Austin Tomagno closes his high school career in Southern Section with another Division 3 championship while leading his Brea Olinda teammates to a team championship. One of the Big 4 to graduate over the past two years.